When Marketing met Kia's chief operating officer, Thomas Oh, in Seoul and asked why his company spent billions moving its HQ from one side of the city to another, he turned with a wry smile, crossed his wrists, and simply said: "Gangnam Style." Kia made headlines the next day, after its parent company, Hyundai Motor Group, spent an astonishing $10.1bn bidding against Samsung to secure a spot in Gangnam for its new HQ. Gangnam is Seoul's upmarket commercial district, home to Korea's super-rich and subject of Psy's satirical 2012 hit. That Kia's parent company wanted to move its headquarters there says much about the group's ambition. Kia has undergone a major transformation since its near-bankruptcy in 1997 and acquisition by Hyundai the following year. The appointment of German designer Peter Schreyer as Kia's chief design officer in 2006 heralded a visual turnaround for the brand, crystallised in the famous 'tiger nose' grille that fronts many of Kia's models. The popularity of redesigned vehicles such as the Optima has helped turn Kia into a success, according to KPMG's head of automotive in the UK, John Leech. "In consumer surveys, Kia has come from a position where it was seen as a sub-standard product that you bought if you could really only afford something cheap and cheerful, to very much a challenger brand in the same bracket as Ford or Vauxhall," he told Marketing. "That’s a spectacular entry and an unparalleled auto-industry success story of a new brand coming into the mass market," he added. "We’ve seen in the premium sector, Audi has done something similar, but in the volume sector, Kia is the best example of a new challenger brand." Leech also pointed to Kia’s seven-year warranty, an industry first and a major marketing coup for the brand. While the transformation is impressive, Kia wants to become as comforting and familiar to overseas consumers as its rivals VW and Nissan are. In the UK, Kia accounts for 3.2% of new car sales – a huge leap from its position 10 years ago, but still fractional. Vauxhall accounted for 11.5% of new cars sold in the UK in 2013, while Nissan's share was 5.2%, according to each manufacturer's sales figures. "Brand-wise, it is an awareness issue," Thomas Oh told Marketing. "For example, our unaided awareness is less than 30% globally. We need to improve this and upgrade our imaging." One way Kia is trying to show mainstream consumers that it means business is through high-profile sports sponsorships. Oh pointed to major marketing spend on sponsoring FIFA’s World Cup, tennis' Australian Open, the NBA in the US, and London's Oval cricket ground, as well as the latter's resident county side, Surrey. In the first six months of this year, Kia spent £352m on overseas marketing and export costs. "Kia’s had lots of spend and were very prominent with lots of high-cost marketing," said KPMG’s Leech. "That’s given consumers the impression of a high-quality product and that this must be a serious brand to choose these plum marketing opportunities. It's had a dramatic effect overall on Kia’s growth story." Along with challenges of perception, there are practical issues to solve at home and abroad. Kia’s Gangnam deal sent its share price into a tailspin, as spooked investors questioned what some viewed as an excessive bid. Domestic plant employees also threatened strikes after the agreement, claiming that if Hyundai Motor Group could spend $10.1bn on new headquarters, it could afford to boost their pay packets. 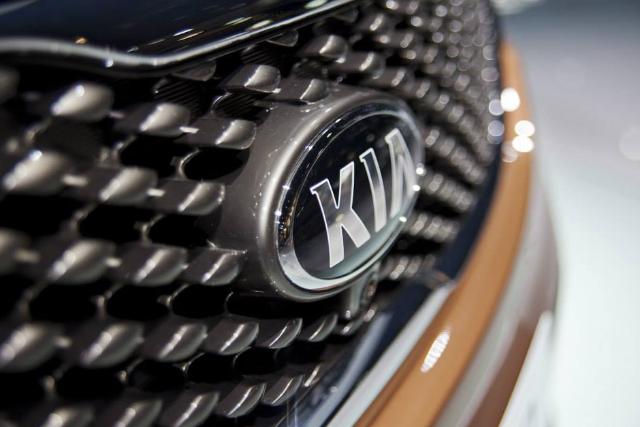 In addition, despite Kia’s obvious pride over its Korean heritage – the name translates as "rising from Asia" – Thomas Oh admitted the company’s provenance was occasionally challenging. "In terms of Kia’s operation, we face the challenge of the currency issue," he said. "The Korean won is getting strong." This presents a difficulty when Kia’s cars are priced to a eurozone market, but manufactured in Korea. "They have that challenge of maintaining the brand when short-term profitability is unhelpful," explained KPMG’s Leech. Kia’s UK chief executive, Paul Philpott, last year claimed the brand could break into the top-five car makers by volume. At the time, Citroën, Fiat, Honda and sister brand Hyundai were the UK’s biggest carmakers. Speaking to Marketing more than a year on, UK marketing director Mark Hopkins admitted that this had yet to happen. "We are not currently in that position, so our ambition is to grow and to continue to grow," he said. "The way in which that will be achieved is down to a number of factors – primarily making an attractive product at the right place and growing the brand in the UK." Kia has done a good job marketing to a younger audience. According to Oh, David&Goliath’s hamster ads for the marque are so popular that prospective customers are heading into Kia showrooms asking for hamster mascots first, Kia cars second. "The question is whether they can bring out products that people can move up into, as they become wealthier," said Leech. "If you become a middle manager in your 30s, you would probably depart from Kia. Can they find models that can stretch the brand upwards?" If it wants to take on brands that have been around since the earliest days of the car, Kia will have to keep its drivers loyal beyond their 20s – meaning the brand transformation isn’t over just yet.